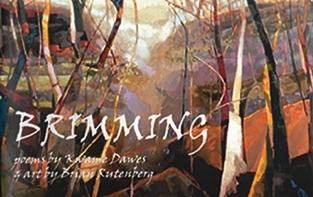 In Brimming, Kwame Dawes has composed a sequence of poems based on the art of New York-based South Carolina painter, Brian Rutenberg. The poems explore themes like the lynching of blacks in South Carolina, the Stono slave rebellion of 1738, the war in Lebanon, the story of the destruction of so many communities in the interest of progress, the pleasures of love and sensuality, and so much more. Each of the poems, though, is shaped by and responsive to images that leap out in Rutenberg's art which explore the landscape of the Low Country of South Carolina.